The Dodge Journey has joined the three-rowed SUV class in 2018 and now offers a standard seven-passenger seating configuration. The four models, SE, SXT, Crossroad, and GT now all come with the brand-new “Black Noise” 19-inch aluminum wheels. The Journey SE model has an available Blacktop package as well. How do the trim levels differ from each other? In 2018 the Journey has a standard seven-passenger configuration that comfortably sits everyone. Standard with every model are removable in-floor storage bins, a keyless Enter ‘n Go, and a heated steering wheel. The SE trim adds a dual-zone climate control, keyless entry and ignition, and a height-adjustable driver seat. The maximum cargo space is 67 cubic feet. The SXT trim comes with the Connectivity and Equipment package. This package adds an overhead console storage, an 8.4-inch Uconnect touchscreen, and rear parking sensors. The Crossroads then builds off the SXT with the addition of a premium stereo system, a security alarm system, and a Trailer Tow Prep package. 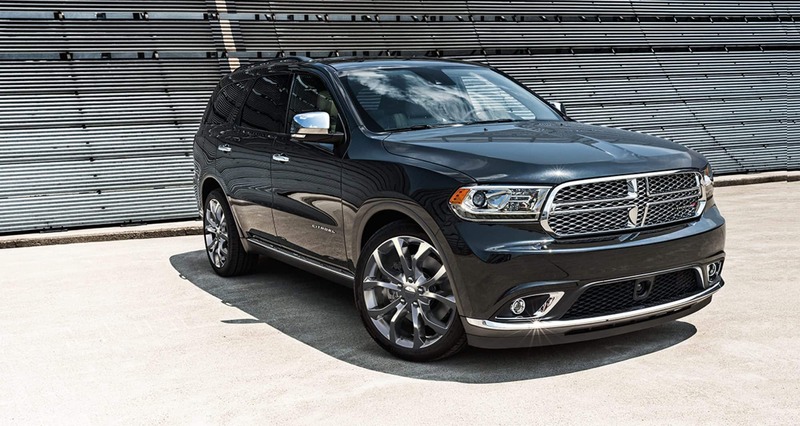 With all these amazing features and options this vehicle is bound to be the best family-friendly road trip SUV on the market. How much horsepower is there? 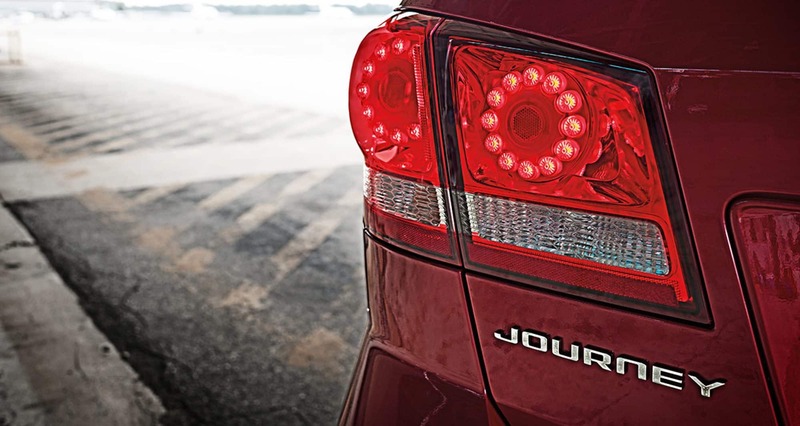 With two engine options, the Dodge Journey is unstoppable. The SE, SXT, and Crossroad trims all come with the 2.4-liter inline-4 engine with 173 horsepower and 166 lb-ft of torque. The second engine is standard on the GT and optional for all other models. 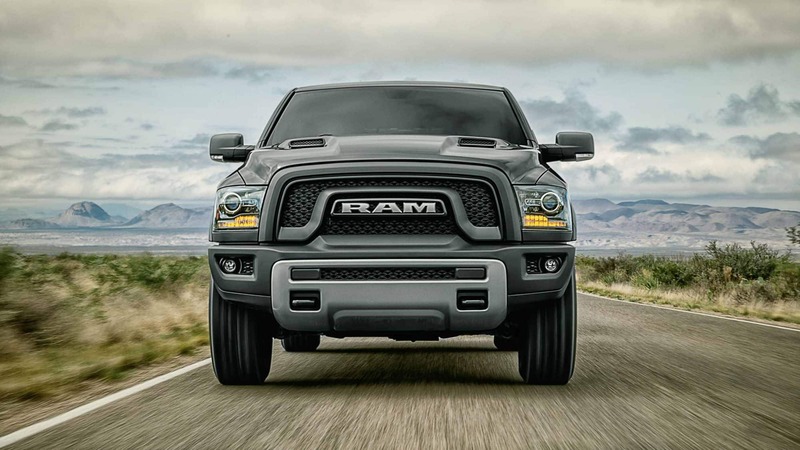 This 283 horsepower 3.6-liter V6 has 260 lb-ft of torque and an EPA rated fuel economy of 25 miles per gallon. Front-wheel drive is standard but the V6 has the option of trading it in for all-wheel drive. With over 40 available safety and security features, the Journey is more than prepared. Some of the features are the LATCH child seat anchor system, electronic roll mitigation and brake assist, electronic stability control with all-speed traction control, and rear parking sensors with a large rearview camera display. Additional features can be found standard dependent upon the trim. The SXT Premium package also offers a conversation mirror for easy viewing of all passengers. Are you interested in seeing what the Dodge Journey is capable of? Come test drive one of our models!